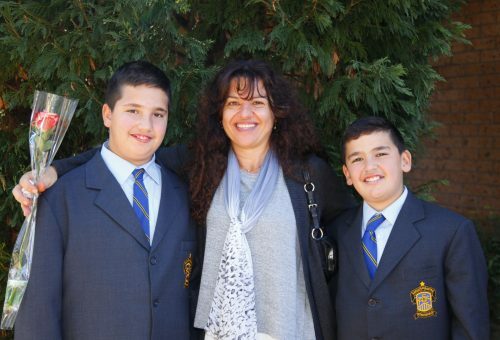 The College warmly invites mothers, grandmothers and all those with mothering roles in our lives, to a special Mass and Morning Tea to be held at the College on Friday 12 May. The Mass will take place in the College Gymnasium. For families in Berg, Coghlan and Crichton the Mass will commence at 11.30am. Boys attending the Mass will be assembled on the oval adjacent to the Gymnasium at the above times so that mothers may easily collect their sons before moving into the gymnasium. Each boy will then sit with his mother or significant female. For seating and catering purposes it is imperative that the letter which was sent home with your sons is completed and returned to the College Reception no later than Friday 5 May. We hope that you will be able to attend this wonderful celebration of motherhood with your sons.